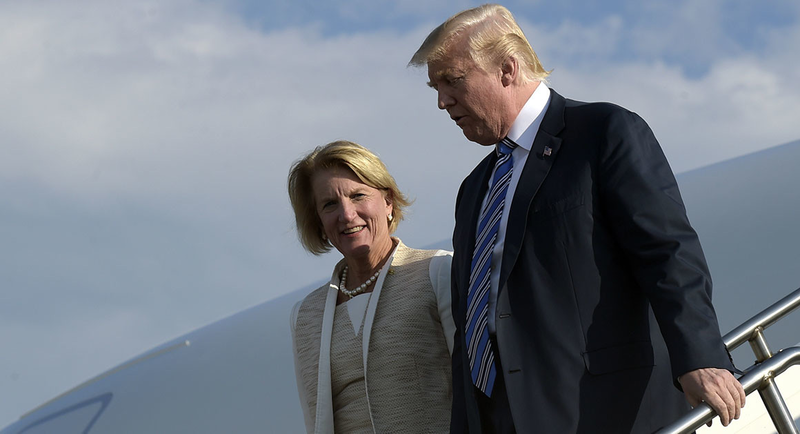 The first clues over whether President Donald Trump will risk a shutdown fight this fall over his border wall will come Monday in a private meeting with Sen. Shelley Moore Capito. Trump is increasingly frustrated with Congress’ failure to fund the wall — his No. 1 campaign promise — and has threatened a shutdown in September if he doesn’t get his way. But the West Virginia Republican, who chairs the Homeland Security spending panel, has a tough task ahead of her. Though Trump wants as much wall money he can squeeze out of Congress, Capito needs to get 60 votes in the Senate, and there’s no way Democrats will go along with a major budget boost. She‘s also got to cut a deal with Sen. Jon Tester (D-Mont. ), the ranking member of the panel whom Trump loathes for helping to derail Ronny Jackson’s nomination to be secretary of veterans affairs. I will try to follow what happens with Senator Capito.